The Malaysian Secondary Property Exhibition Penang (MASPEX Penang 2014) is back this Friday and again, it promises to bring great bargains for house hunters and first time home buyers. Penangites, who have yet to own their very first homes, must not miss the exciting event this weekend as this is your chance to finally buy your own home. 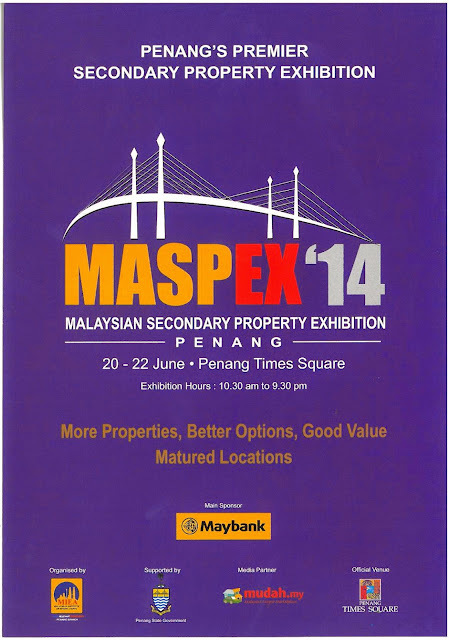 MASPEX Penang 2014, brought to you by The Malaysian Institute of Estate Agents (MIEA) with Maybank Berhad as the main sponsor again, is being held for the second time after last year’s highly successful event. It is a three-day event where more than 2,500 properties all over the state are expected to be showcased at comparatively lower prices than newly launched housing projects. The event will kick off on this Friday (June 20) with a grand opening ceremony at the Penang Times Square. Penang State Exco for Town & Country Planning and Housing YB Jagdeep Singh Deo will be officiating the event at 11am this Friday. After the opening ceremony, there will be a forum on the regional property market where Property & Real Estate Players & Interested home buyers may learn more about what’s happening in the market. The forum will be moderated by MIEA president Siva Shanker while the President of the Institute of Estate Agents Singapore Jeffrey Foo, Senior Partner of Raine & Horne & MASPEX Penang 2014 organising chairman Michael Geh and Hon Secretary-General of National House Buyers Association Chan Kim Loong will be on the panel. The experienced panelists will discuss the latest information on what is happening in the housing industry, not only in Malaysia, but also in the region. On the second day, visitors may expect to learn more about the hotspots in Penang, legal tips on property buying, architectural heritage planning and an overview of the 2014 property market outlook. There will also be tips on affordable homes interior design, property tax for the secondary market, the GST impact on property and the impact of IT on the property market. The secondary market are homes, or properties, that are several years old, and for many years now, many home owners have bought their first homes by tapping into this market. 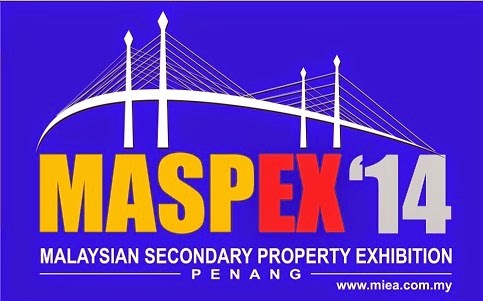 “The inaugural MASPEX Penang was held last year and more than 7,000 people attended it and it generated more than 500 leads for participating estate agents,” Michael Geh said. He added that many visitors to the event last year are now proud home owners of affordable homes at locations of their choice. “MASPEX is the main event of the year for first time home buyers & Serious Buyers & to finally purchase homes of their own,” he said. The secondary market has been the biggest driver in the overall property sector in the country, by taking up 70% of the market share, even though it was not highly publicised. This is because the secondary market offers homes that cost fractionally less than new launches direct from developers - at about 20% to 30% lower. “Home buyers should focus on the secondary market if they are looking for homes that are within their price range,” Siva Shanker said. YB Jagdeep said there is a need to cater for the market of affordable housing as the current prices in the primary market is out of reach to many first time home buyers. “This is why this exhibition of properties from the secondary market is so important, as I feel it can achieve the desired effect of providing affordable housing for the middle income group in particular,” he said. In April last year, the first-ever MASPEX was held in Tropicana KL and it was a runaway success where more than 1,000 properties worth a cumulative RM2 billion were showcased over three days. More than 13,000 people visited the exhibition and the three-day event generated 3,500 leads for participating estate agents. 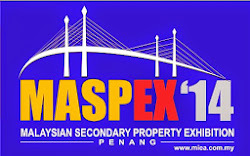 The success of the first MASPEX led to the inaugural MASPEX Penang 2013, held between Sept 27 and 29, which was also a resounding success. There will also be lucky draws for visitors with attractive prizes up for grabs. The exhibition will be held from 10am to 10pm for three days from June 20 to 22. Find out more about the event by surfing to www.miea.com.my.